The short and pleasant summer could really be a memorable few months for you. However, as day gives way to night, summer is also followed by fall and this gives way to the cold and biting winter months. The summer evenings in the patio will certainly have been pleasing, but suddenly you could find the fall and winter evenings to be quite cold. In such situations, you would certainly be on the lookout for some good patio heating options. With so many options being available, making the right choice may not be easy to say the least. You will have to do your research and have some basic information and knowledge. We are sharing some useful and pertinent information that could be useful in making the right choice. 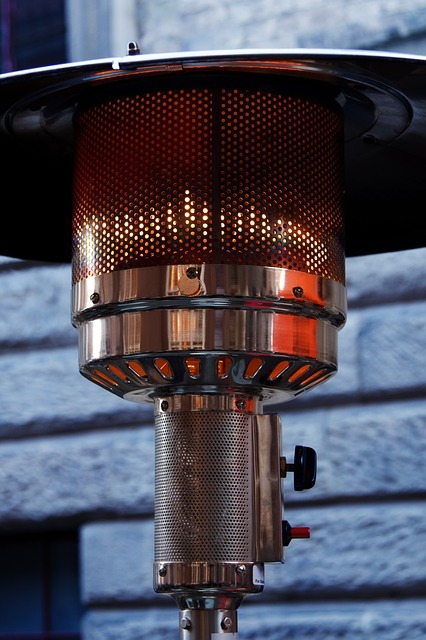 There is no doubt that during fall and winter, outdoor heaters have an important role to pay. You could continue spending evenings in the patio, without having to freeze or feel uncomfortable. Though there are different types of outdoor heating systems, we will be talking about the ones that use four different types of fuel. They are: Propane, Natural Gas, Electric And Wood. Propane heaters are popular because they are easy to install in your backyard or patio. You will simply put the heater together, attached the gas tank, and then you should be able to turn it on. However, the cost of propane heaters is more that other gas heaters. You may have to replace the gas tank regularly, but replacing the propane tank is also quite easy and hassle free. It has some benefits like fast heating, easy installation, zero installation and portable. However, as mentioned earlier, the running costs of propane heater are more compared to natural gas. This is because the gas tanks need regular replacements. Natural gas heaters are also quite popular. However, they require the help of professionals for installation. It has to be hooked to the gas line. The upfront cost installation is much more when compared to other types of outdoor heaters. This is both for installation cost and the cost of the heater itself. But once installed, they are extremely cheap to use and are perhaps the easiest as far as upkeep and maintenance are concerned. However, they cannot be used in an enclosed space or covered areas. These are also convenient options for those who are looking at something unique and different. They are also easy to install, with the exception of wall mounted models and hanging models. They have a plug and operate option. It has some obvious benefits and you have the advantage of keeping it closer to the outlet. However, on the flip side the running costs of electricity is more when compared to firewood and gas. But they are easy to maintain and can be used in a covered or enclosed space. Wood continues to be popular for the atmosphere it provides. It may require a bit more maintenance and wood has to be added to keep the fire going. The process of cleaning the ashes could also be a problem. The fire pits and chimneys create the right outdoor ambience and the aroma of burning wood is quite exciting. However, there could be problems of ignition and controlling the level of heat could be a bit tough compared to other heaters. Overall, there are various patio heating options to choose from, and you can choose the one that meets your specific needs and requirements. Some options are easier to install than others, but can be more costly to maintain. While others are easier to install, but can be limiting on where they can be placed. However, any of the four choices in this article will make a great addition to your outdoor space.